Munchkin fans may have noticed a surprise cameo on NBC's Grimm. 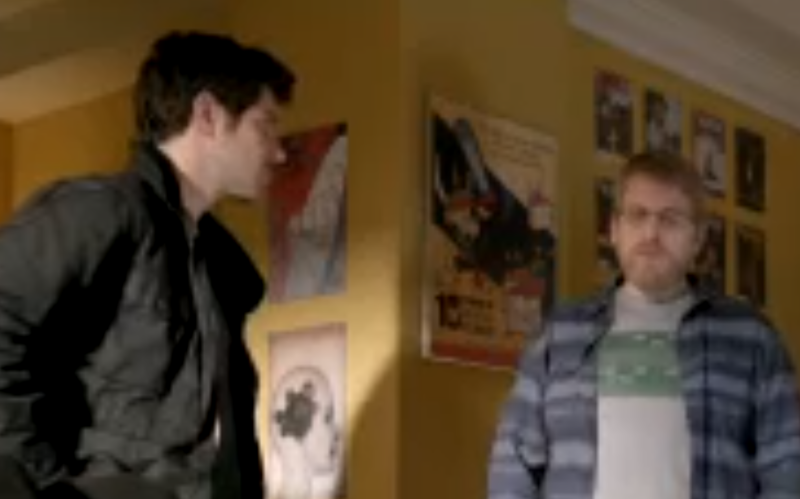 In episode 216, "Nameless," one of our Munchkin 10th Anniversary Posters is in the background as Nick and Hank interview a potential suspect. If you want to check it out for yourself, you can watch the episode for a limited time on the Grimm site (warning: that link will take you right to a video). The Munchkinly goodness starts at about 16:00 -- immediately after the second commercial break.